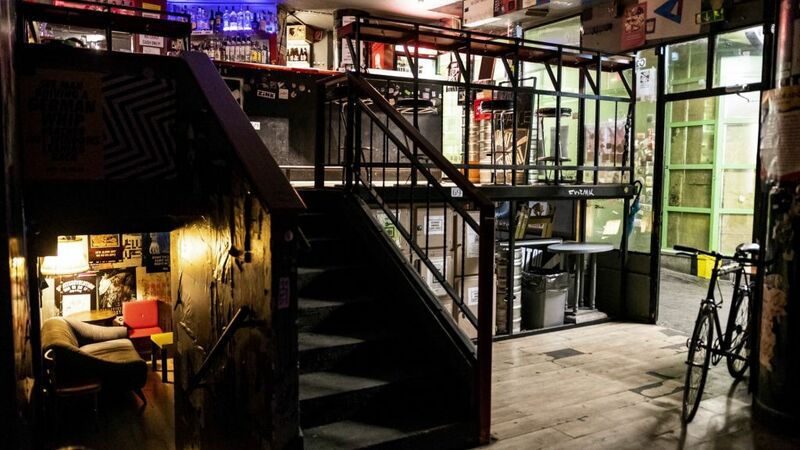 If ever a European city had a vibrant and eclectic underground bar scene, then it’s the Queen of the Danube, Budapest, where a collection of “ruin bars” has risen from the dilapidated buildings of District VII (an industrial area left to waste after World War II), to the heights of hipster chic. With an industrial, abandoned vibe to them that’s added to with mismatched furniture and decorations, these underground bars reach a new level of urban cool and bring an unmistakeable character and edge to this part of town. Let’s look at some of the choicest picks of this urban trend to check out after some local beerbiking. Vittula– it may not be very easy to come across, but there’s a good reason for exclusivity, as gems like this are best kept secret. One of the early pioneers of the underground scene, Vittula is friendly and inexpensive with an interactive take on the choice of music. To be found behind the Soho Boutique Hotel on Kertesc Street. Gólya– located behind the Corvin Quarter, this not-to-be-missed establishment has a socialist, anarchic feel to it and hosts weekly discussions on current issues. If you’re looking for something slightly less intellectual then you could try out the regular nights of live music. For warmer days there’s an outdoor courtyard for enjoying beers, wines and cocktails. Grinzingi– a down-to-earth wine bar with a difference, Grinzingi takes its name from an Austrian village known for its purveyors of fine wine, and has long been popular among those looking for a change in a beer-heavy culture – though beers are not missed from the menu. A historical, rustic atmosphere makes Grinzingi a cosy place to enjoy some traditional Central European food. Next to Big Ben Teahouse on Veres Palne Street. Beat on the Brat– a good bar/club to end the night, with a small dance floor and an indie/alternative vibe, this is a buzzing, party place that only opens from Thursday to Saturday. The entrance to BOTB can be found in a parking garage on Nyar Street. All in all, a trip around District VII is a great way to end an evening spent on the Budapest Beer Bike.